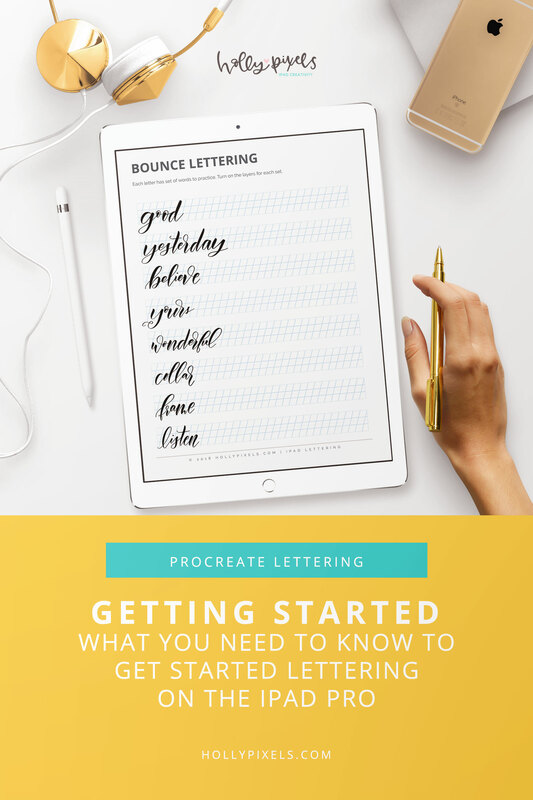 If you’re ready to get started with lettering on the iPad Pro this post will achieve your goal. Lettering is something that takes time, practice and lots of consistency no matter what medium you use. Whether you choose to letter with pens and paper or the iPad Pro, there are certain tools you need to master lettering. I educate iPad Pro users on lettering with their tablets and the Procreate app. 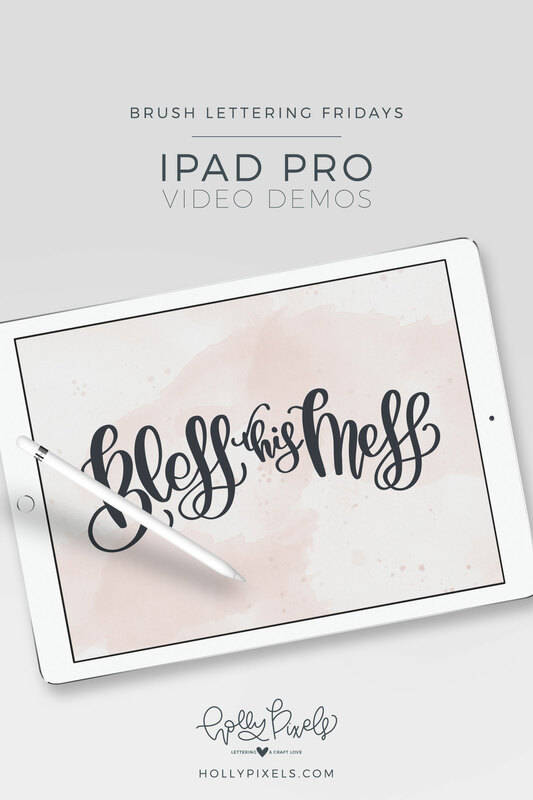 You can take my FREE iPad Pro Script Brush Lettering Course here. If you’re ready to dive in let’s talk about what you need. Which Model iPad Pro Should I Buy? The iPad Pro is designed with a powerful processor that rivals most laptops and can’t be found on other iPad models. It has 4GB of RAM memory for fast multitasking and is the only iPad that supports the Apple Pencil. If you don’t have an iPad Pro you will find there are some limitations to lettering on your tablet (more on this later). Currently (at the time of this post), Apple makes a 12.9 inch and a 10.5 inch iPad Pro model (compare models here). There are both WiFi only and WiFi + Cellular options. If you are going to be on the road a lot without a WiFi connection, the second may be your better choice. You will pay more for cellular options and will need a cellular service plan (this is in addition to your phone plan). When people ask me if they should get the 12.9” or the 10.5” my response is always to go test drive them in the Apple store or a Best Buy. Feeling them in your hands will help you make that decision. It’s a personal preference. If you like drawing on larger letter-sized paper, you will probably find the 12.9” model your best choice. The 12.9” model weighs about 1.5 pounds while the 10.9” is around 1 pound. Honestly, the weight is not enough to make a difference if you ask me. With regards to space of the iPad Pro I can honestly say that a 64 GB capacity will most likely be all that you need. I have 256 GB capacity and have filled up about 60 GB to date. If you can afford to go bigger then do it. You won’t regret it. If you are doing 4K video or editing of videos and photos then go for the largest option. But most of us that simply do lettering projects are find with the smaller capacity. The beauty with capacity these days is that there are cloud services to store your files that are super affordable. 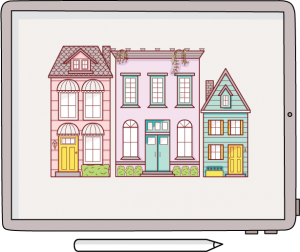 Moving projects off of your iPad Pro is a no brainer. I often get asked if you can use other iPad models or styluses (styli – what’s plural here?) with Procreate App. Procreate App does require iOS 11.1 or newer. So if your iPad is really old and can’t handle that version of iOS you won’t be able to maximize the app. So the answer is yes, you can use older iPads with Procreate App. But remember earlier when I talked about how the iPad Pro has 4GB of RAM? Well, older models don’t have that. The limitations will happen when you try and download large zip files or Procreate files (like my practice guides). Most likely your tablet won’t be able to open them or even download them. “Procreate fully supports Apple Pencil on iPad Pro with settings for Tilt, Azimuth, Accumulation, and Flow. The best styluses is the Apple Pencil and the best tablet to use with Procreate is the iPad Pro. Save your pennies because it will be well worth it down the road for you. If you want to learn more about the Procreate App they have a free ebook that you can download and read. It’s super helpful with regards to the app itself. You can also review the FAQ page as it will answer a lot of questions you may have or encounter. 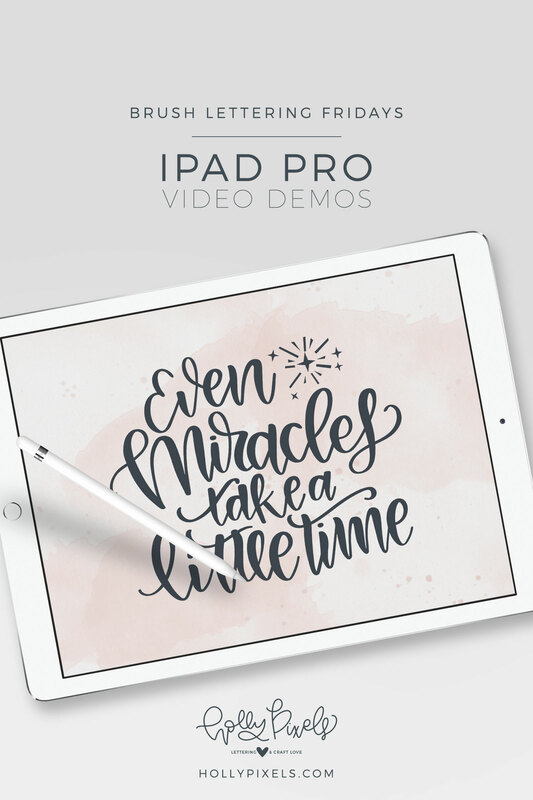 Now that you have gathered all of the tools you need, why not jump into my free iPad Pro Script lettering course? 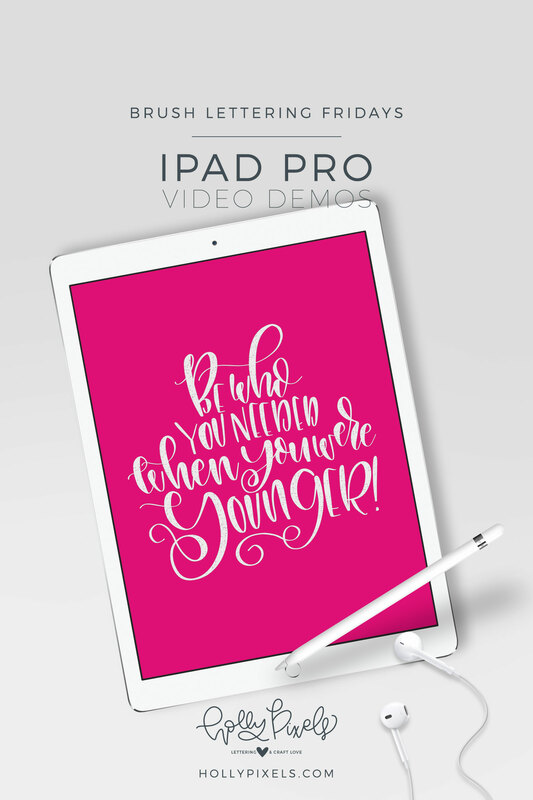 I have video lessons that cover everything from walking you through Procreate App, forming basic lettering strokes, learning how to write the alphabet, words and number, and I show you how to complete three projects as well as vector your lettering. 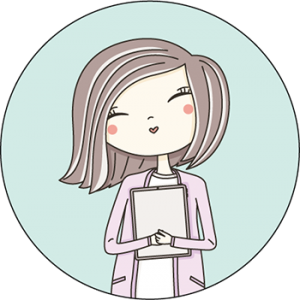 To take my course, all you need to do is visit the course page and get started. Welcome!